The WestChem Research day was recently held at the University of Strathclyde. 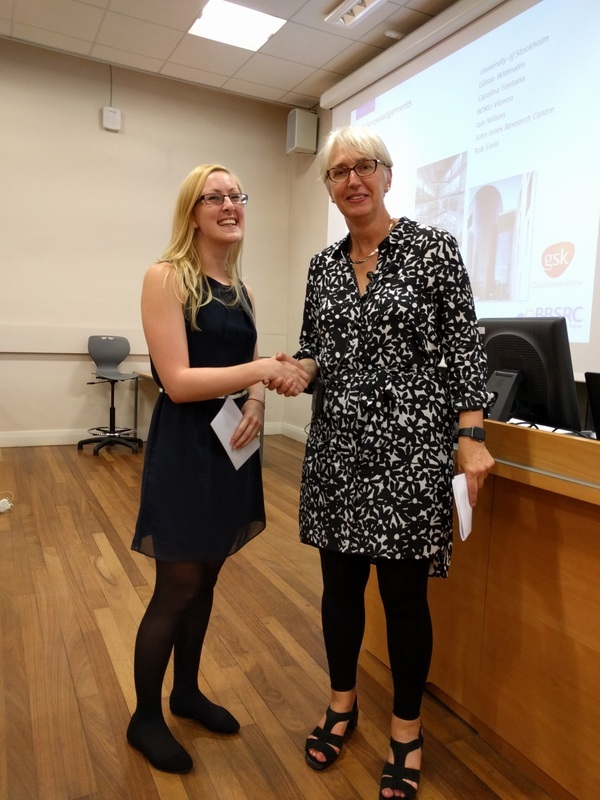 Talks were given by students from both Glasgow and Strathclyde universities and a plenary lecture by Professor Sabine Flitsch, Professor of Biochemistry at the University of Manchester. After an interesting day of talks, Katie won the prize for best talk.